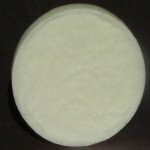 This all-vegetable based soap is cream white in color and fragrance free. The soap contains all vegetable oil with no contents of alcohol or harmful preservatives for dry skin. The base contains Glycerin is produced naturally during soap making, which provides necessary pH balance necessary for leaving a pleasant skin feel and highly moisturized after cleansing. The soap rinses clean due to no added animal oils and forms excellent lather with good foaming. The soap sustains color even in high temperature for long period of time. This soap base is a Vegetable Base containing natural exfoliating Oatmeal and nutritious Shea Butter. The unique combination of Oatmeal and Shea Butter gives excellent lathering quality, as well as contains enriching ability to delicately smooth and moisturize the skin. The soap base is PEG free and paraben-free, enabling it to leave the skin fresh, clean and soft. 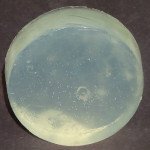 The base contains Glycerin is produced naturally during soap making, which provides necessary pH balance necessary for leaving a pleasant skin feel after cleansing. 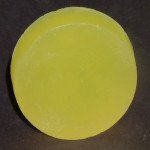 This soap base enables additives to float on the top of the soap, helping to disable additional labor of mixing the added ingredients to a favorable position. This vegetable based soap is contains no Sodium Lauryl Sulfate and Sodium Laureth Sulfate. 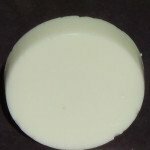 The soap base is odor free with cream white color. The soap contains coconut oil with no contents of alcohol or harmful preservatives for dry skin. The base contains Glycerin is produced naturally during soap making, which provides necessary pH balance necessary for leaving a pleasant skin feel and highly moisturized after cleansing. The soap rinses clean due to no added animal oils and forms excellent lather with good foaming. The soap is suitable for slicing or moulding. This vegetable base soap contains Cocoa, Mango and emollient Shea Butter. 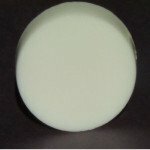 The soap base is SLS-free and SLES-free. The natural properties of the three exotic butters help the soap base to be extremely smoothing, moisturizing and softening. The base contains Glycerin is produced naturally during soap making, which provides necessary pH balance necessary for leaving a pleasant skin feel and highly moisturized after cleansing. This is a vegetable based soap, made from 100% certified, in United Kingdom, pure organic oils. 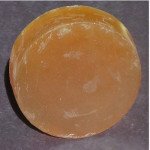 The organic oil gives the soap base a natural light brown color. The soap base does not contain foam boosters or preservatives or alcohol, enabling the soap to provide gentle skin hydration properties. 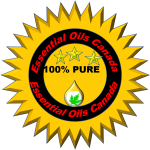 The soap base does not contain Sodium Lauryl Sulfate, Sodium Lauryl Ether Sulfate or MPG. The base contains Glycerin is produced naturally during soap making, which provides necessary pH balance necessary for leaving a pleasant skin feel and highly moisturized after cleansing. 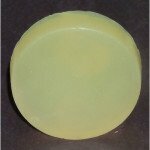 This vegetable base soap has a transparent with a light green color look. The soap contains all the enriching properties of Olive Oil, as well as provides excellent lathering and foaming that is highly moisturizing. 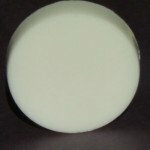 The soap base is very color stable even in high temperatures for long periods of time. The base contains Glycerin is produced naturally during soap making, which provides necessary pH balance necessary for leaving a pleasant skin feel and highly moisturized after cleansing. This vegetable base soap contains cold-pressed Carrot Oil, Cucumber Oil and Aloe Vera. This soap base is a good source of Omega- 6 and additional nutrients that are present in the Carrot and Cucumber Oil, enabling the base to have antioxidant properties. This soap base is PEG-free, paraben-free, SLS-free and SLES-free. Its Aloe Vera ingredient enriches the soap to lather in an exceptional quality. The base contains Glycerin is produced naturally during soap making, which provides necessary pH balance necessary for leaving a pleasant skin feel and highly moisturized after cleansing. This vegetable soap base contains exotic and eccentric Argan Oil, which has an extraordinarily unique hydrating property, also known as ‘Liquid Gold’. Argan oil is produced from Argan tree native to the desert climates of Morocco. 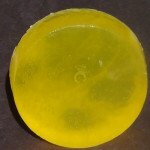 Due to the high contents of vitamin E and fatty acids present in the Argan Oil this soap base provides superb skin feel. The base contains Glycerin is produced naturally during soap making, which provides necessary pH balance necessary for leaving a pleasant skin feel and highly moisturized after cleansing. African Black soap is vegetable base, sulfate free, dark Brown color Melt and Pour Soap base containing raw Shea butter and coconut oil. African Black Soap is excellent source for moisturizing and softening the skin due to its high glycerin content. The soap base is odour free which enhancing fragrance life.